Pharos's adaptable investment strategy is dynamic and strives to take advantage of ever changing market environments. Helping families manage pre-retirement and retirement needs by providing financial plans to help guide you toward your goals. Exposure to alternative investments has the potential to create resilience, diversification, and opportunity. 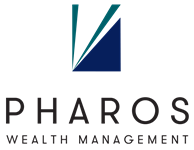 Find out what it's like to be taken care of by Pharos Wealth Management - Financial Advisors in Novato, Marin County, and the surrounding San Francisco Bay Area. We'll hold your hand every step of the way. Tax planning is an essential part of managing and maintaining a comprehensive portfolio. We will create a plan with the goal to help manage your tax efficiency so you can focus on the important things. It's important to understand how your current estate plan is set up and how the assets are going to be distributed. Throughout the process, Pharos will work with your attorney to craft a suitable estate planning strategy. Pharos will analyze and identify strengths and weaknesses in your portfolio. An incredible amount of research goes into each plan - a plan that is customized for you. We’ve built a handy mobile app that allows you to easily stay in touch with your finances on-the-go wherever you are. You don't have to be in Novato, Marin County or the surrounding San Francisco Bay Area to stay connected - we're available wherever you might be! Ask us your financial questions, send and receive secure messages, request an appointment with a financial advisor, get directions to our office, log into your account, receive helpful notifications, and more.